Before the franchise relocated to Connecticut in 2003, the team operated as the Orlando Miracle. After the 2002 season, the NBA sold off all of the WNBA franchises to the operators of the respective teams, which placed the league in the middle of team contractions, relocations, and potential labor strife. Since Magic ownership was no longer interested in retaining the rights to the Miracle and no local partnership was reached, the organization ceased operations and was purchased by the Mohegan Tribe. 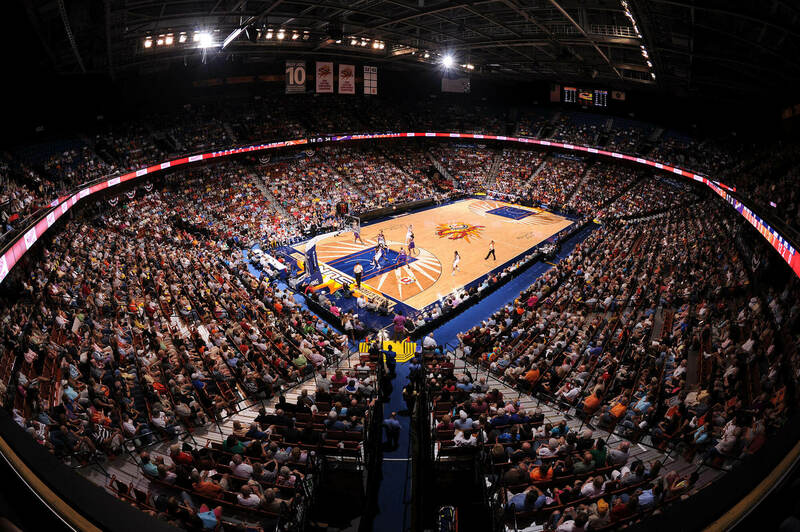 On January 28, 2003, it was announced that the Miracle would immediately move to Uncasville, Connecticut and change its nickname to the Sun (in reference to the Mohegan Sun casino). The Sun’s nickname, color scheme and logo are similar to that of another defunct Florida-based franchise, the Miami Sol, which folded at the same time as the Miracle’s relocation to Connecticut.